A new agency has launched that helps science, engineering and technology organisations run highly targeted communications campaigns with "impactful content and thought leadership". 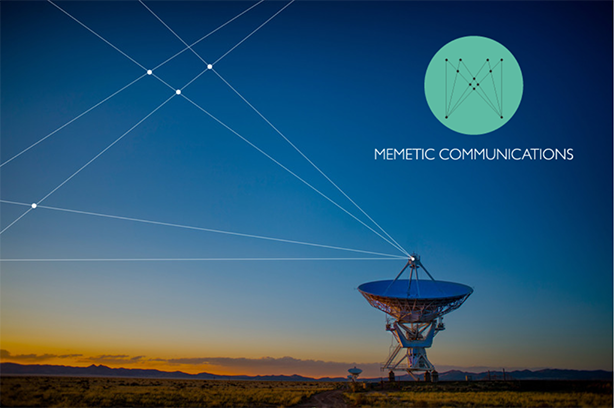 Memetic Communications is the brainchild of founder David Lewis, a consultant to leading science and technology organisations, including King’s College London, The London School of Hygiene and Tropical Medicine. He is joined by co-director Richard Moss, who previously founded and sold science and technology PR agency Proof Communication and has run communications programmes for the likes of Microsoft, Oracle, QinetiQ, GCHQ, CERN and Dell. Memetic aims to draw out knowledge and insight from clients and their technical teams, build evidence through research, and create narratives that inform and influence their audiences’ strategic decision-making. It’s focus is to use evidence-based content to underpin highly targeted marketing, communications and sales programmes. Lewis believes this content-led approach could help the agency complement the work of more traditional PR agencies, rather than compete head on. "Science, engineering and technology organisations are well-served by agencies which secure media coverage or create a digital buzz," he said. "What is missing is underpinning content which offers genuine insight into audience challenges, with real power to inform and influence decision-making." The agency will launch with foundation client Tessella, a data science and AI consultancy. "Memetic is helping us develop and deliver a content strategy that resonates with these high level, well-informed [clients] and guide them through a complex decision-making process. They are creating compelling and insightful content that sits at the heart of a targeted and measurable inbound marketing programme," said Julian Fowler, Tessella’s head of marketing.